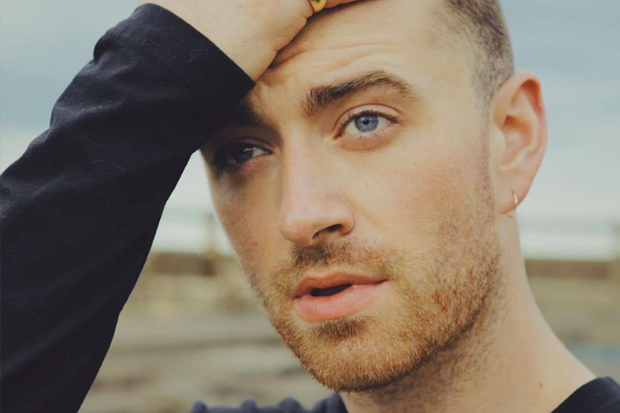 Sam Smith excited fans by sharing a couple of stills from a music video shoot. EDIT: The single drops September 8. See one of the billboards that have popped up in LA below. 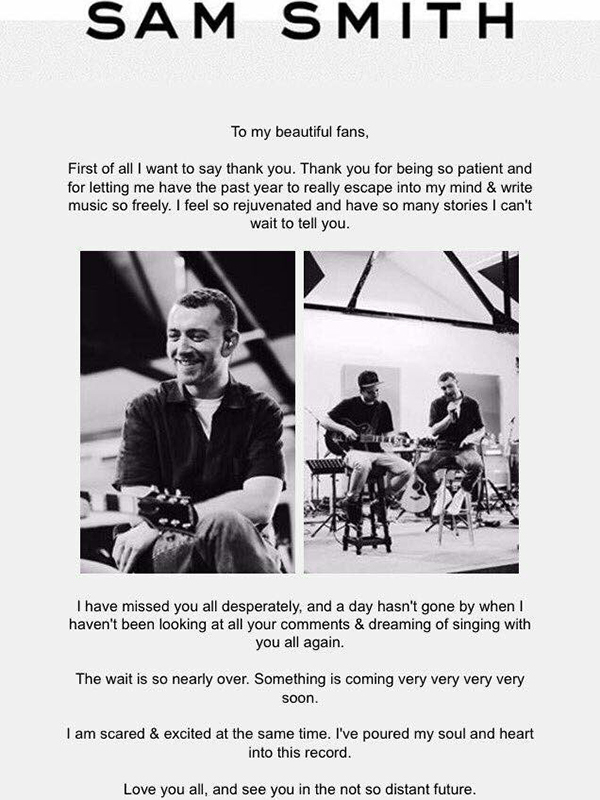 Sam Smith is releasing new music very soon, possibly even this fan. The Brit, who catapulted to fame with “Stay With Me” in 2014, surprised fans with an email blast thanking them for their patience. “First of all I want to say thank you,” he begins the message. “Thank you for being so patient and for letting me have the past year to really escape into my mind & write music so freely. I feel so rejuvenated and have so many stories I can’t wait to tell you.” The best part comes toward the end. “The wait is so nearly over,” Sam continues. “Something is coming very very very very soon. I am scared & excited at the same time. I’ve poured my soul & heart into this record.” Fans were quick to react to the letter on social media, theorizing that his new single could drop this week. As for the direction of the hitmaker’s new album? He has reportedly been in the studio with frequent collaborators Jimmy Napes and Naughty Boy as well as Clean Bandit and Timbaland. See his heartfelt message below. Are you excited for Sam’s new era? Let us know below, or by hitting us up on Facebook and Twitter!